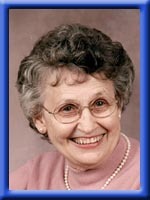 THEAKSTON – Freda Faye (Freeman), 76, of Greenfield, beloved wife, mother, grandmother and sister went peacefully to be with God on February 9th, 2010. Born in Greenfield, she was a daughter of the late Harley and Alice (Wentzell) Freeman. Freda was a strong and inspirational lady who never tired of helping others. Left to mourn her passing are her husband of 56 years Robert, sons Jeff and James. Daughter Jennifer (Andrew) Moir. Granddaughter Alexandra Moir, Sisters Shirley (Doug) Adams and Marilyn Munroe. She was predeceased by her brother Melvin. so sorry to hear of Freda’s passing she is in a better place. I was so sorry to hear of Freda’s passing. I know she will certainly be missed by her family and her church. She was certainly a great lady and hard worker. My prayers and thoughts are with you during these difficult days. God bless! Was so sorry to hear of Freda’s passing .She was a lovely lady and will be greatly missed by all who knew her.Our thoughts and prayers are with the family. I am sorry to hear about the loss of such a wonderful lady.She was such a pleasnt and loving person and a joy to be around.I know you will all miss her alot but remember all the wonderful memories you have. I am so sorry to hear of your loss. My parents were Merrill and Janet Whynot in case you are wondering who I am. I will send many prayers your way during this difficult time. Bob, our thoughts are with you and your family in your time of sorrow. Having gone through the loss of my Wife just over two years ago I’m certain I know how you’re feeling just now, but in the weeks and months ahead you will find comfort in thinking about the happy times and wonderful recollections of them, as you review your fifty six years with Freda at your side. You will find too, that additional love and support will flow from your family as you begin a new phase of your life. Please accept our most sincere condolences. Our thoughts are with you in this time of bereavement. Please accept my deepest condolences on the passing of Freda. under the circumstances, take care of yourself. We were so sad to learn of Freda’s passing. It must have been quite a shock. We think of the wonderful times we had when visiting Doug and Shirley. Our thoughtrs and prayers are with you at this sad time. To Bob and family. I was so very sorry to lern your sad news. I was saddened to hear of Freda’s passing, and found myself remembering the last time we met, at a soccer tournament in which my Granddaughter Lucy was playing. I was a reminded then of the many friends you have in your beautiful community, and I know you and the family will receive a lot of love and support to help you through. Please accept Laura’s and my sincere sympathy. I am so sorry to hear of the passing of your wife. Hold on to the good times you had together and stay strong. We are so sorry to hear about your mom and grandma. Our prayers are with you! We wish we could be there with you! Sorry for your loss, Bob. It’s a difficult time for you and your family and I wish you all the best. Only a week or so ago, my friend Janet Stevens ( David’s widow) called me to tell me thqt she had heard that Freda wasn’t well but both of us ( and Bill) were so sad to learn of her death. One knows that losing such a beloved wife and mother will represent an enormous void in all of your lives, But we are sure Freda must have left you with an extraordinary legacy- priceless memories you will all forever truly treasure. Bob and Family, so very sorry to hear about Freda’s passing. If there is anything I can do please don’t hestitate to ask. So very sorry to hear about Fredia she was a great lady and was always so kind to me when I went to stay with Shirley and Doug. She will be greatly missed as she was always doing things for others. To Jim, my thoughts are with you at this difficult time. Bob,we were so sorry to read of your wife’s passing. We have spoken of you many times over the years.At this sad time we keep you in our prayers. Marsha and I send our sincere condolences at this time. We did not know Freda well during our three summers at our cottage but we certainly knew her well enough to see how friendly and helpful she always was to us and everyone. We will miss her and her smile and we just wanted you to know how sorry we are. Dear Bob & Family, I was shocked when I read of Freda’s passing. You must be devastated with this loss of dear Freda and I understand from Mabel Bryden that you were very close. I worked at the Red Cross with her and remember her as a good friend and I met you while there. Mabel told me of Freda’s illness and Paula Davidson’s visit with her. I met your Jeff when he was a baby. Mabel and I visisted Freda once when you lived in Thornhill Subdivision–a long time ago. I knew you retired from the CBC to Greenfield. Over the years since then, our paths just didn’t pass. Eleanor and I are sorry to hear of Fredas passing. Your strong family will pull you through it all. time. We know how close you all were and Freda’s absence will be felt by many. You are in our thoughts moreso at this time. are thankful for Freda’s wonderful life of love and service. God bless you all, we grieve with you. It was with heartfel sorrow that Mom & I heard of Fredas’ passing. There are so many wonder memories that came flooding back for both of us. Our days in Thornhill Park, Calvery Baptist Church, even long walks up to Rocking Stone with the dogs in tow. We both said we can still see her warn smiling face in our hearts and minds. I can still see her at our wedding shower 29 years ago and we still have and use the beautiful wooden salad set Mr. & Mrs. Theakston gave us. And you know I always think of them when we use it. We know your sorrow is great, time dosn’t dull the pain, you just learn to adjust to it. and memories are a wonderful thing. Please know your entire family is in our hearts and prayers – may God’s greace be with you now and as you go forward with out your wonderful wife, mother grantdmother, sister and aunt. Our deepest sympathy for your loss. Our thoughts are with you.Jean and Jim Snow. So sorry to hear of Freda’s passing–we spoke to her at the CBC retirees Christmas party–her picture in the paper shows her lovely smile. May God be with you at this difficult time. Very sorry to hear of your loss and trust along with your faith and family, you’ll know others are thinking of you at this time. I was so deeply sadened to hear of the loss of your mom. Take comfort in each other and the memories of all the wonderful times you had together and Jim know your friends will always be there with you when you need them most. To Freda’s family we extend our deepest simpathy on this great loss. Freda was such a strong influence on not just family but others as well. She always wore a warm smile which, at times, I’m sure, disguised any hurt or discomfort she had inside. Bob, I know the pain you feel and your memories will give you comfort in the days and years ahead. God’s peace is such a blessing to get you and the family through this. Our prayers will continue for all of you in the days ahead. Our deepest sympathy for your loss. You are in our thoughts at this time. Our sincere sympathies on the passing of your beloved Mom and Nana. Our hearts and prayers are lifted up to you and your family at this sad time. May God be near and bless you all. So sorry for your loss, my condolences go to you and your family. Sorry to hear of the loss of your Mother. Hold on to the memories, they do get you through the days which are harder than others. So sorry to hear about your Mom. You are in our thoughts and prayers. Treasure the memories. I was glad to have seen Freda at the CBC Christmas dinner. I didn’t realize she was having health issues at that time. I’d like to send my condolences to you and your family. We offer our sincere condolences on the recent loss of Freda Theakston. Both Michael and I were so very sorry to hear of the passing of Freda. We have always enjoyed the time that we got to be with you both. Please take care of yourself and God bless you all.